As much as I hate to see peaches and cherries go. I’m already stocking up on pumpkins, apples, and pears. Pears are one of my favorite fruits. That’s obvious when you walk in my kitchen because pears, in art form, adorn my kitchen. Not only do they make great art, they are an excellent source of fiber and a good source of vitamin C, and are great both raw and cooked. That’s a lot of versatility in one sweet and juicy package! Pears are unique in that they ripen best off the tree. So pears are picked and transported when they’re fully mature, but not always ripe. This assures that pears you buy are in good condition to properly ripen at home. 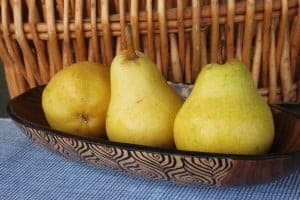 You may find ripe pears at the store, but more often, you need to ripen them. To do that, simply leave them at room temperature. Storing them in a paper bag speeds ripening, and so does storing them with apples and bananas. 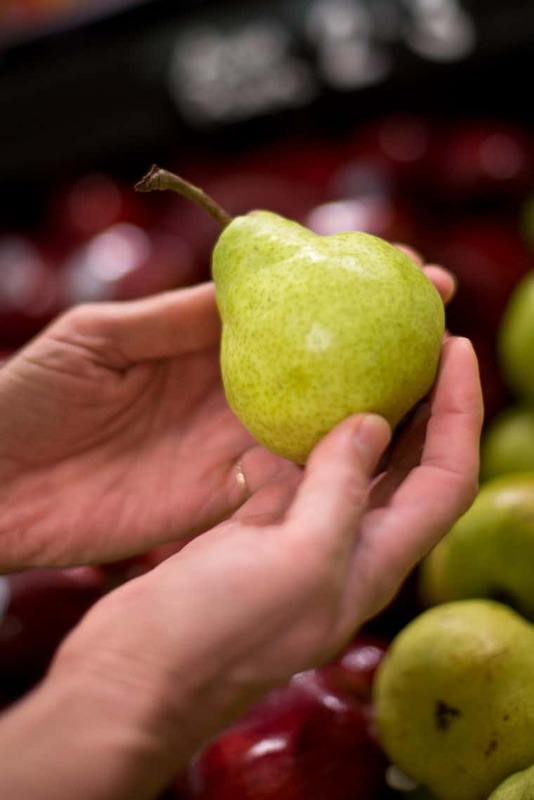 Ripening fruit naturally gives off ethylene, so more ethylene in the air around the pear will help speed ripening. Be sure to check them daily so they don’t get overripe. Once they’re ripe, refrigerate them to slow further ripening. But what’s tricky is that some pears don’t change color as they ripen so, you go from unripe to rotten without even knowing it. Bartlett pears change from green to yellow as they ripen. Non-Bartlett pears such as Anjou, Bosc, Comice, Concorde, Seckel and Forelle do not dramatically change color as they ripen. Because pears ripen from the inside out, the best way to check for ripeness is to “check the neck.” To do this, gently press near the stem with your thumb. When it gives to gentle pressure it is ripe, juicy, and ready to eat. If you wait until the pear is soft around the middle, then it will be overripe. It may sound complicated, but it’s not, and it’s definitely worth the effort. 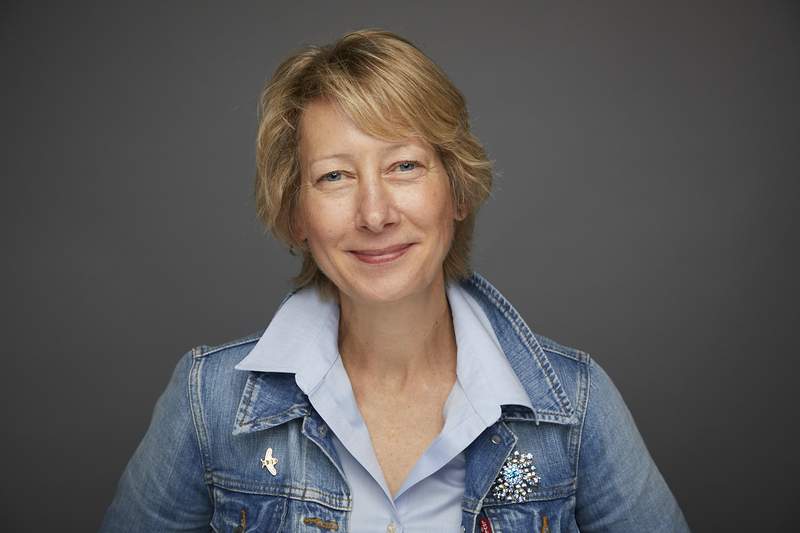 Need simple ideas on how to use them? Bake buttered pear halves for 40 minutes in 350 degree oven. 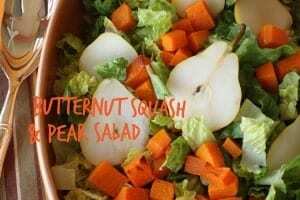 Serve with vanilla yogurt or ricotta cheese and honey. Include sliced pears on a grilled cheese sandwich. On half of each tortilla, sprinkle one-fourth of the cheeses, basil, onion, and nuts; top with pear slices. Fold in half and brush both sides with oil. Heat in non-stick skillet 2 to 3 minutes on each side or until cheese melts and tortilla browns, Cut each quesadilla into four pieces. 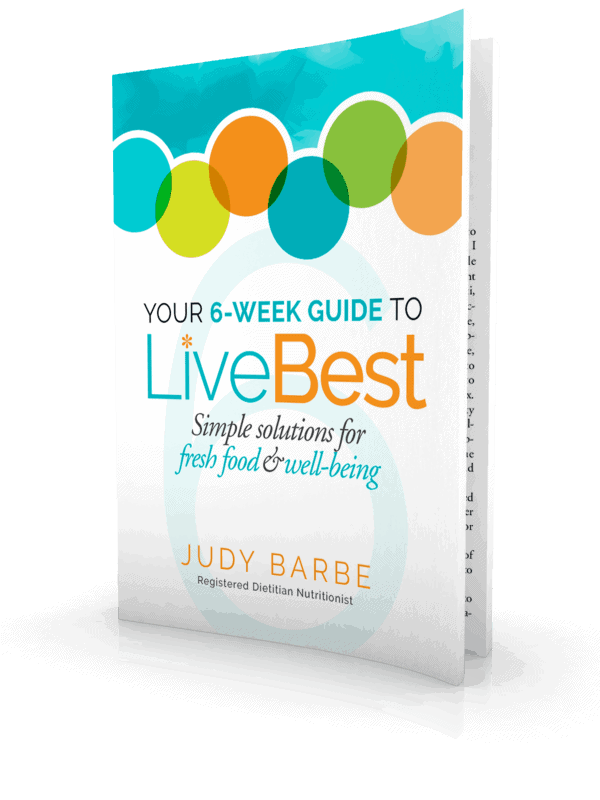 Judy Barbe is a registered dietitian and the author of Your 6-Week Guide to LiveBest: Simple Solutions for Fresh Food & Well-Being.